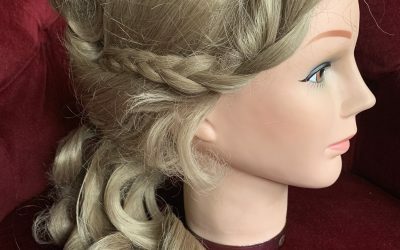 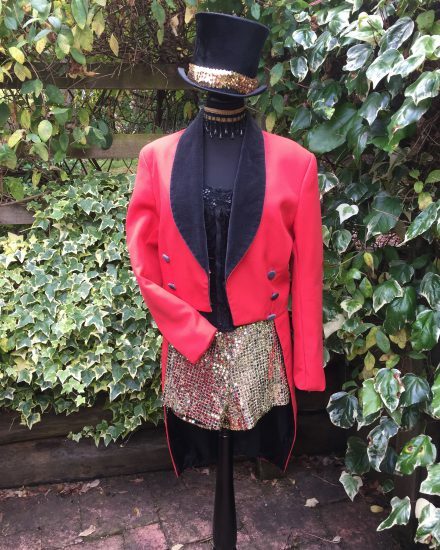 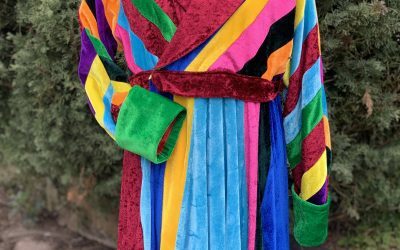 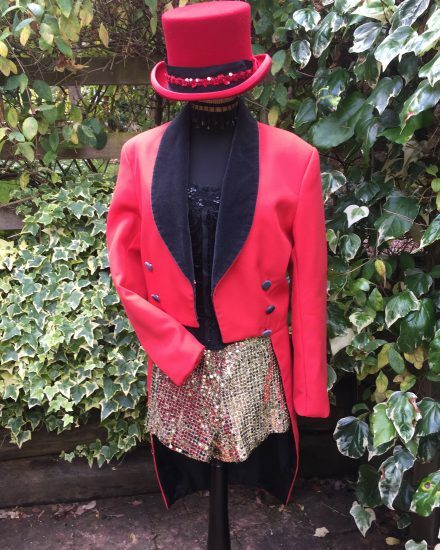 Take centre stage in this smart ladies Ringmaster costume. 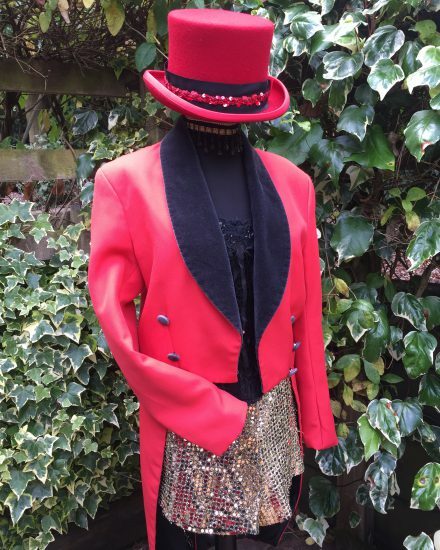 Perfect costume for Circus Theme Fancy Dress, & Moulin Rouge Theme. 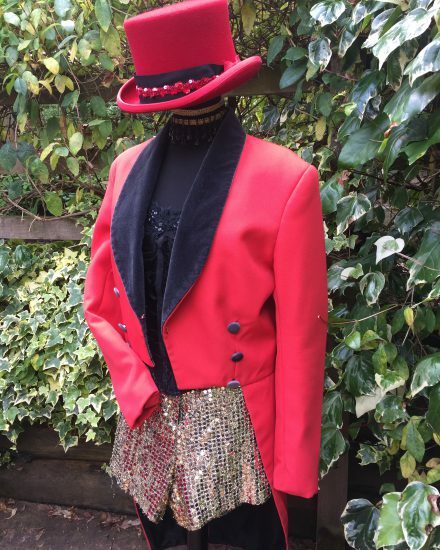 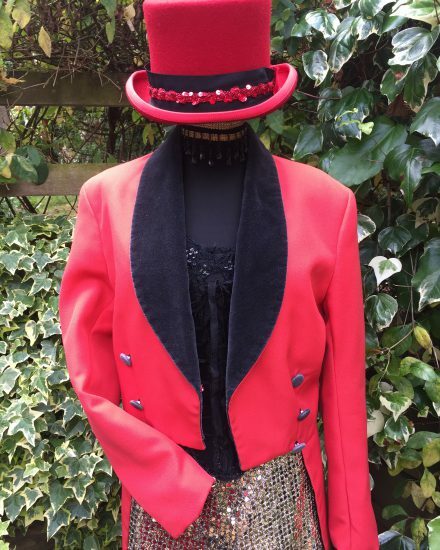 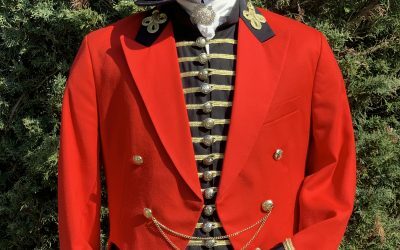 Full costume includes, Red Ringmaster tailcoat with black lapels & buttons, shorts, basque, choker & Top hat.